Drizzly days mean splashing in puddles, feeding the ducks and wearing colourful anoraks. 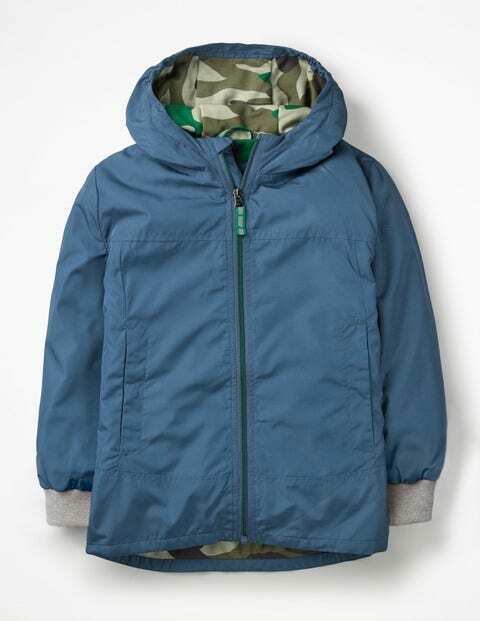 The bright colours and camo print will suit boys and girls and the reflectors will keep them safe on darker days. Our warm jersey lining and rib cuffs are soft and cosy, whilst the hood and shower-resistant fabric are designed to stop rain getting in (hooray! ).